The MasterCard Global ATM Locator lets you find an ATM that accepts MasterCard, Maestro or Cirrus cards in over 210 countries around the world - that is over one million ATM machines. You can search for an ATM by address, zipcode or postcode. You can also add a number of requirements to your search, such as drive throughs, 24 hour access, wheelchair accessible, no access fee and deposit sharing. 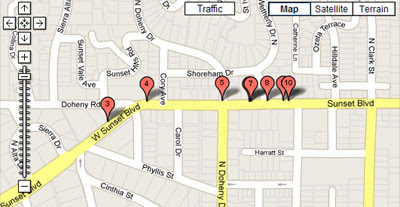 The results of a search are then displayed on a Google Map and displayed in list form under the map.